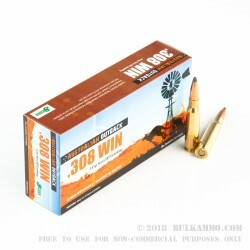 This 308 Win cartridge by Australian Defense Industries offers a host of features that will make all the difference during your next buck hunt. 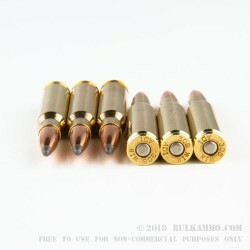 It is manufactured with the proprietary Ballistic Temperature Independence technology, which grants its accuracy and velocity near immunity to the effects of extreme heat and cold while firing. The projectile’s Spitzer boat tail conveys additional benefits to accuracy by protecting it against the influence of cross winds, giving it a flatter trajectory, increasing its velocity, and further protecting against nicks and scratches during the assembly process. Combine all of that with the bullet’s relatively heavy 165 grain weight and 2,840 fps muzzle velocity, and you’ve got a round that offers serious power backed by practically surgical precision. 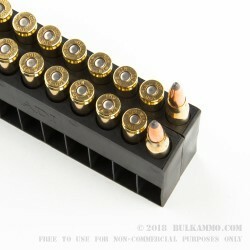 This cartridge additionally features a non-corrosive and Boxer primed brass casing. 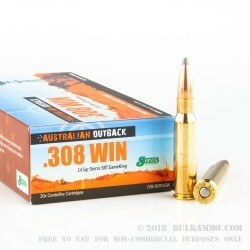 Borne from Australia’s oldest tradition of industrial ammunition manufacturing, Australian Defense Industries has delivered for civilian and military shooters for over a century. so accurate it is amazing for a hunting round.